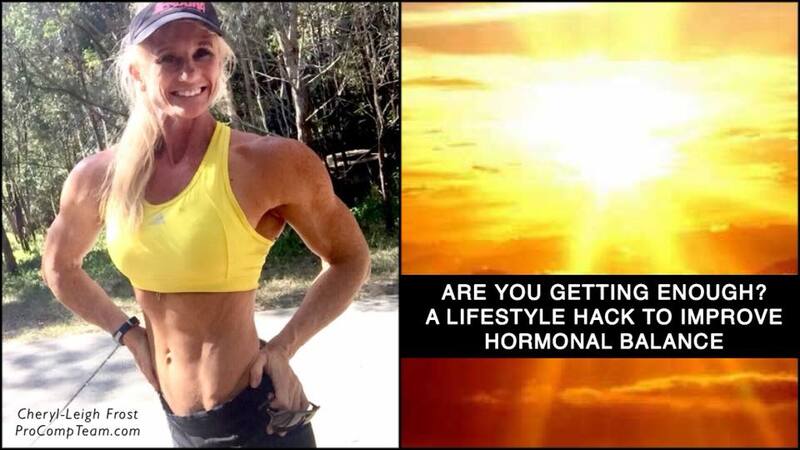 A LIFESTYLE TIP TO IMPROVE HORMONE BALANCE. If you are like me, the season has a huge impact upon how my body functions. In winter, I am more likely to feel flat, have low energy, and I become prone to colds and flu. To make matters worse, winter and a lack of sunlight can also interfere with fat burning and hormonal balance. ⛅⛅EXPOSURE TO DARKNESS IS A MAJOR FACTOR IMPACTING HEALTH AND HORMONES. Darkness and winter months can diminish the body’s ability to handle stress. This is especially the case after an accumulation of time. “Darkness is a stress because it impairs energy production and is associated with a rise in a variety of inflammatory substances some of which compensate for decreased energy production.” – Functional Performance Systems. Light exposure and warmer temperatures have many positive effects on metabolism, mood, and optimal body temperature maintenance. The red bright incandescent light from sunlight “helps cells produce energy, synthesize protective steroid hormones, and reduce the stress hormones that result from darkness and low energy production” – Functional Performance systems. Since light improves metabolic rate and darkness does the opposite, it is common to find that thyroid, hormone and stress related problems surface more during winter than during the summer months. “Light deprivation induces a progesterone deficiency allowing cortisol, aldosterone, estrogen, and prolactin to act unopposed. This creates PMS symptoms, other women’s issues, fatigue, mood change, and weight gain…. This situation mimics that of chronic stress with metabolic suppression and body temperature lowering effects.“ -Functional Performance Systems. Stress hormones increase without light. This can further decrease metabolism, immunity and is likel to contribute to the storage of belly and back fat. “The absence of bright light would create a progesterone deficiency and would leave estrogen and prolactin unopposed.” – Dr. Ray Peat. A progesterone deficiency has been linked to weight gain, PMS, anxiety, food cravings, fatigue and poor sleep quality. 1. Daily sun exposure on skin will do wonders to increase progesterone that may help keep estrogen balanced, increase metabolic rate, increase Vitamin D, help to support fat loss, immune function and mood. If weather or seasons do not allow this, the use of incandescent lights is highly recommended. “Very bright incandescent lights are helpful, because light acts on, and restores, the same mitochondrial enzymes that are governed by the thyroid hormone.” – Dr. Ray Peat. ← NO MORE STRUGGLES TO LOSE WEIGHT.